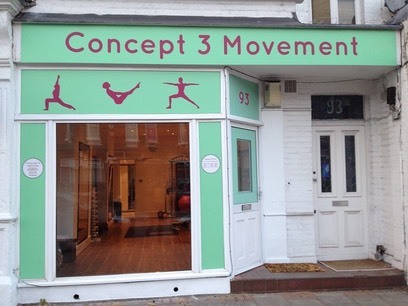 Concept 3 Movement is a small independent holistic and well-being exercise studio offering a range of movement based therapies. 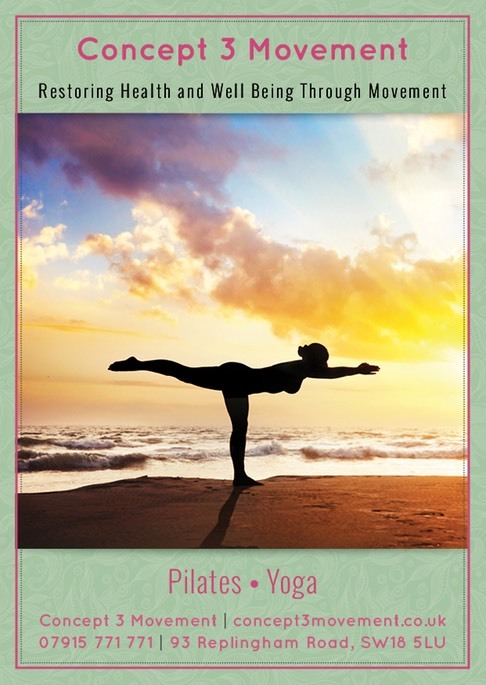 Our three main areas of focus are in Pilates, Yoga and Personal Training. The name was a conceptual idea born out of the fact that every holistic and well-being goal starts with movement and in particular three dimensional movement patterns. At�Concept 3 Movement, we use three individual disciplines to advocate our ethos – Pilates, Yoga and Personal Training. Whether your goal is to increase the amount of miles you walk per week, or to develop core strength, improve your posture or to get rid of a few extra pounds we will endeavour to help and guide you to your goals.�Our maxim and ethos is very much client focus. Guiding each individual to achieve their holistic health potential by empowering them to feel purposeful and valued through movement. Concept 3 Movement�Studio Director, Chucks Onwere, has over 16 years experience in the fitness and well-being industry. Having left school with no formal qualifications, and by his own admission he found things outside the classroom window more interesting than events taking place inside, he realised also that he learns, retains information and educates differently. It was this appreciation of the differences in the way individuals educate that would later serve him in understanding how each individual client would receive information differently. Subsequently the information presented to a client would have to be received in a manner that would yield reciprocal benefits for both trainer and client. The first class for Local Mums is free. All you need to do is register your details online at: www.concept3movement.co.uk and let Chucks know at hello@concept3movement.co.uk which class you would like to attend.